Size – 24” x 24” (25" x 25" if detachable edge pieces are included). 1/4" is ideal for residential spaces. 8mm is perfect for commercial spaces. Removable edges included for easy install. 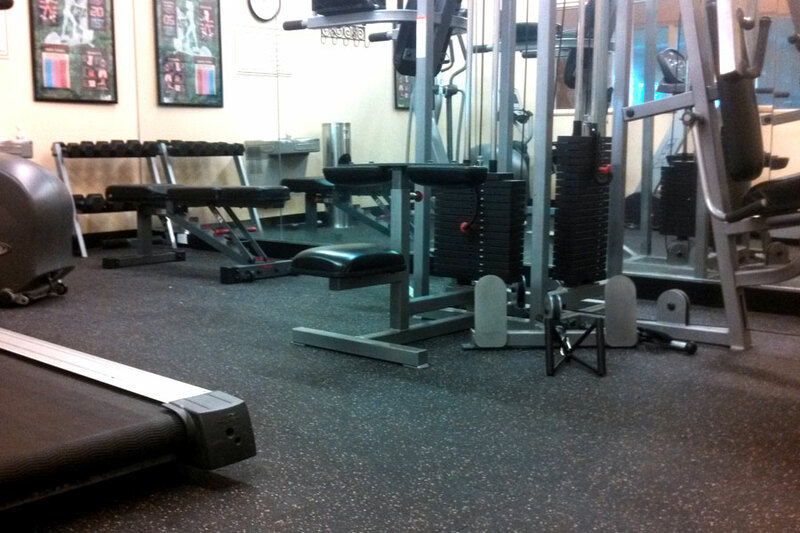 We replaced carpet with your Eco-Lock Rubber Tile in our fitness room. Prior to moving into my new home, I spent a couple months researching for flooring for a home gym. 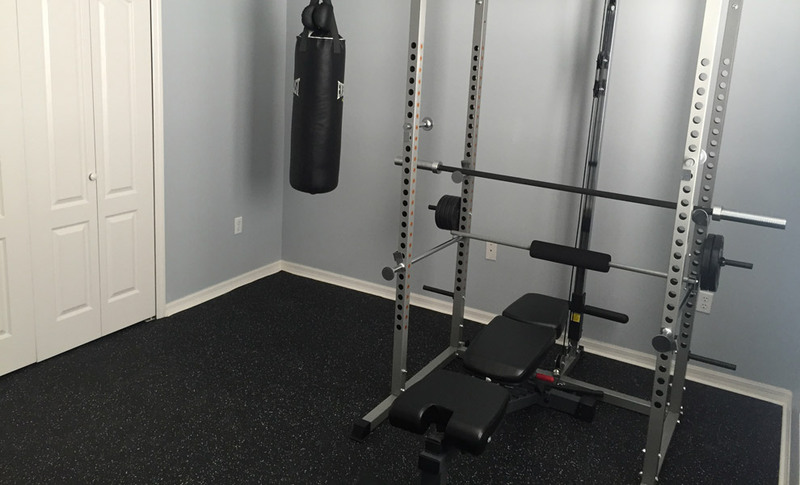 I wanted to convert one of the extra bedrooms into a workout room. I was hoping to find durable mats that I could place on top of my laminate floor to protect them. I knew I wanted interlocking tiles for easy installment and removal for the future. I came across this website and found exactly what I was looking for. I ordered a sample to figure out the thickness and color I wanted. I ordered the Eco-Lock Rubber tiles (1/4”) with blue and eggshell flecks. The fact that all the tiles came with edges sold me on these. I ordered the thinner ones mainly due to shipping cost. With all the costs of moving to a new home I didn't want to break the budget with the home gym. Installation: I took about 5 hours to install in a 11x14 bedroom by myself. I started on one corner and worked my way down. The hardest and most time-consuming part was cutting the edges to fit. I triple measured and used a razor blade (5-10 passes per cut). I probably had to change the blade 3-4 times. The actual laying of tiles that didn't need cuts only took 30-45 minutes. I have had this product installed for 7 months and it is amazing. It looks amazing and feels great. I have received a countless number of compliments from my family and friends. 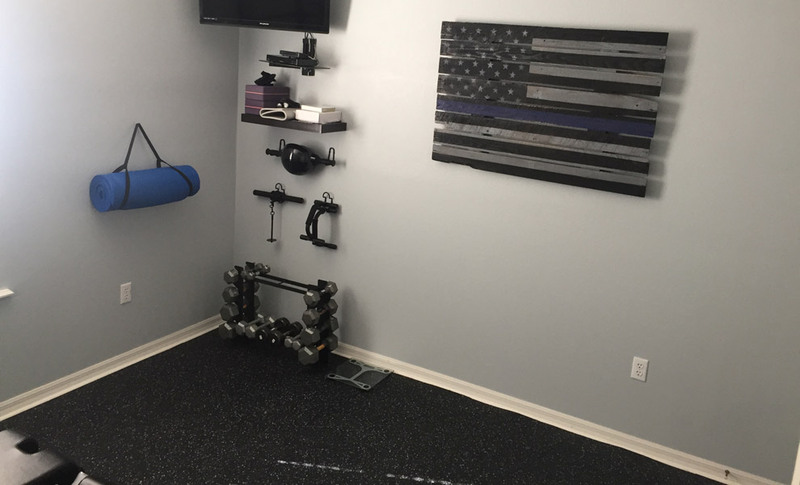 The floors make my small home gym look professional and more expensive than what it really cost. The tiles did make my closed room smell like rubber for 2 months. But it wasn’t very strong and didn’t bother me at all. 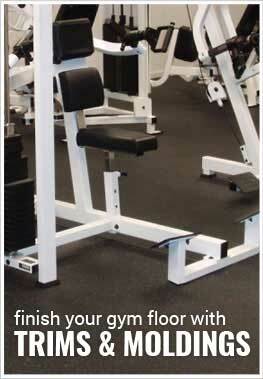 I recommend these tiles to anyone looking to make a home gym at their house. Used in the basement. No smell, easy to cut, easy to install. The cement floor is quite uneven, but the tile lays flat with no buckling or wrinkles. Product was delivered well packed and wrapped.